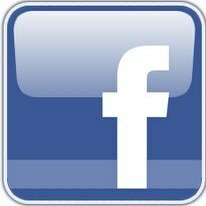 Facebook is the largest Web 2.0 channel with over 750 million users. If you have a Facebook Fan page for your company and it has a decent following, well done. How can you turn all the people that “liked” your brand on Facebook into website visitors? Social media marketing is all about building brand authority and to create a strong brand image. How can you turn your Facebook “Fans” into website traffic? Find below a couple of ideas that can help you turn your Facebook Fans into website traffic and to make them keep coming back. Tabs: Using tabs on your Facebook Fan page is a great way of engaging with the people in your network without spamming them with updates. A few companies are using unique tabs to display their range of services and products with clear images and links to content on their website. When you are using tabs on your Facebook Fan page, always try to drive visitor traffic back to your website. Take advantage of the default landing tab to create a “landing page” and entry point to your Fan page. Content: Share your best articles and blog posts with your followers. This will be those top notch articles that you are using in your SEO campaign. By providing good and relevant content to your followers, if they are interested, they will have a reason to visit your website regularly for updates and new content. Sharing content is a great way to drive traffic from Facebook to your website. Competitions: If you are running competitions on your website or blog to build up a list, try to include your competition strategy on Facebook as well. Why not create a dedicated tab for your competition? While the competition is running, use this tab as the “default landing tab” with a graphic regarding the competition to urge visitors to “like” your page. Promotions: Let your Facebook followers know about any of your promotions. This is a great way of informing them of what you offer and linking back to your website. This can give your followers a feeling of exclusiveness, as they are being rewarded for their loyalty to your Facebook cause. Even though it will take time to setup a proper Facebook Fan page to drive traffic to your website, an optimized Facebook strategy is a gold mine. The more opportunities you are giving to the visitors of your website, the more likely they will return.